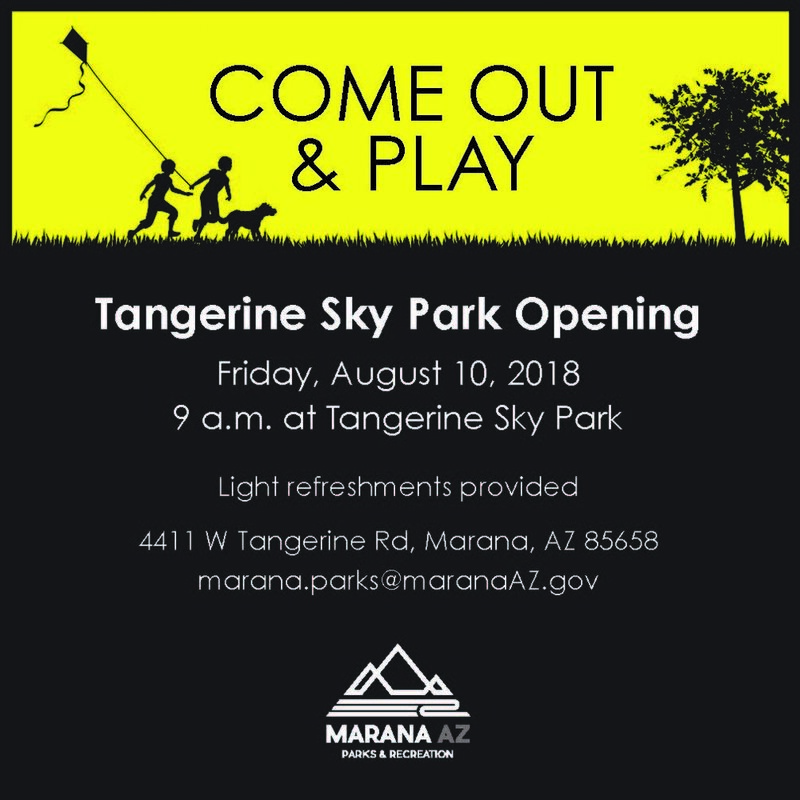 MARANA — Marana Parks and Recreation Department will hold a grand opening ceremony on Friday, Aug 10 at 9:00 A.M. to commemorate the opening of Tangerine Sky Community Park. 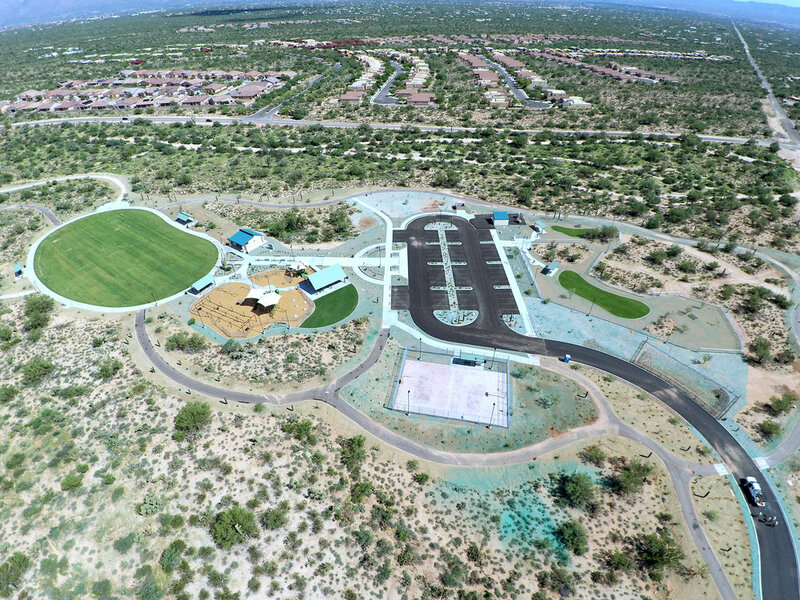 The 17-acre park located just south of Tangerine Road near Dove Mountain Road is Town of Marana’s newest park, and the biggest park in the northeast portion of Marana. The grand opening ceremony will be the public’s first opportunity to set foot in the park. Attendants will experience a short ribbon cutting ceremony, refreshments, and an opportunity to be the first to try out the many amenities. Tangerine Sky Park has two dog parks and two playgrounds. The playgrounds are designed for children of different ages, one for preschoolers and the other for older kids. One of the features unique to the area will be a zipline-themed swing that will travel a length of 30-feet. Other features include a basketball court, three ramadas, a perimeter walking path with connectivity to the multi-use path on Tangerine, as well as connections to the Tangerine Sky neighborhood.